Hopefully the answers will satisfy your curiosity regarding 'bonus groups'. Second, there is no bonus group code. Group 9 is used for some navigation controls. Third, it might be an interesting idea to use such a bonus group in the future, but it has been found that hidden bonus elements are almost never discovered, so it is preferred that a bonus not be hidden. Well that clarifies matters. In this case at least the 'Bonus Group' is there to act as holder for elements of the disc structure, which is something no-one ever need bother themselves with except for the unusually curious. Chances are this also applies to the Warner titles. I must agree with DTS here that the use of Bonus Groups to hold material of interest to buyers would merely act to deny some, perhaps many, listeners access. Through some silly oversight, I didn't have Perreaux listed under the hardware links. Well, that's fixed now. 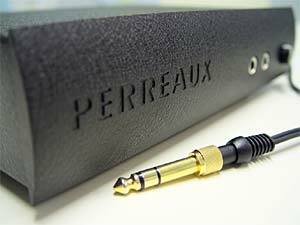 Perreaux is a New Zealand brand of electronics, especially well respected for its amplifiers. Incredibly it has been around since 1974 and, I'm fairly certain, far exceeds any Australian amplifier brand in sales reach. It has now added to its range the SHX-1 headphone amplifier. Why a headphone amplifier? While the great majority of audiophiles prefer to use speakers, some actually prefer headphones. There are advantages to these. For one thing, no speaker setup can match a fine pair of headphones for delivering detail. Regardless of how good the speakers are. The reason is simple: the listening room. There will always be reflections that will cause sounds to mask each other. This doesn't happen with headphones. Me? I only use headphones as a last resort, or to clarify something that I'm hearing from a recording. Headphones are the ultimate in unrealistic sound. The stereo stage cannot be resolved with headphones (unless you are using some pretty nifty DSP processing which merely aims to replicate the affects of a room on sound, which rather misses the point). Instead, you get a spread of intruments and vocals through your brain. I'm sure, though, that Perreaux will have implemented a headphone amplifier as well as anyone could. One thing to note on portable audio gear (Walkmans, MP3 players and so forth) is that very few of them do bass well. Virtually all of them roll off the bass, typically to between -7dB and -20dB at 20 hertz. It comes with the territory. The low voltage power sources just can't deliver the current necessary to sustain high bass levels into low impedance headphones. Things are better if your headphones offer a hundred or more ohms impedance, but most these days are around 32 ohms. This is highly unlikely to be a problem with the SHX-1, nor indeed for most headphone outputs on equipment driven by mains power. Multichannel Super Audio CD (SACD) simply does not work properly in most home systems. And we are in the hands of Sony and Philips, it seems, until it does. 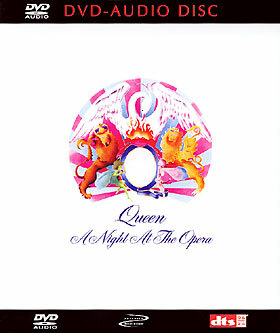 SACD is duking it out with DVD Audio as the high resolution music format of choice. I'll post in the next few days on the pros and cons of the two of them. But here's one major difference: DVD Audio simply extends the familiar PCM format from the compact disc. The world has thirty or more years experience dealing with PCM (Pulse Code Modulation). Computer sound cards use PCM. Processing to do just about anything is readily available. All it takes is a bit of will to do nearly anything you want to a PCM signal. But SACD doesn't use PCM. It uses 'Direct Stream Digital' which is a single bit, high data rate system. There is almost no equipment for doing stuff to a DSD signal. So processing of such signals will, for the forseeable future, remain restricted to what Sony and Philips (and anyone they license) deign to give us. Be that as it may, proper surround playback demands that either all five speakers be the same distance from the listener, or that the system allows time alignment to adjust for the different speaker distances. Very few people have, or even can have, the surround speakers at the same distance as the front speakers without compromising the front stereo stage. From the equipment-maker's perspective, there are only two realistic ways to accomplish time alignment on DSD signals: get DSD decoders from Sony or Philips which provide this function, or convert the signal to PCM and do it yourself. It seems that there are no such chips yet. And to convert to PCM would attract derision from the audiophile crowd because that would cancel the alleged benefits of DSD. So I guess we'll just have wait until Sony and Philips come up with the goods. I've just been examining the structure of the Region 2/4 X-Men Limited Edition DVD. Several things stood out. The movie itself resides in Title 2 (there are 42 Titles! ), and also in Titles 1 and 3. Title 3 is the branching version which adds in about ten minutes of deleted scenes, while Title 1 is generally inaccessible. Now Title 1 has the whole movie, just like Title 2, but tacked on the end are five more Chapters, which in order replicate Chapters 5, 6, 7, 8 and 11. Weird. Also of note is the low bit rate of the movie itself. Sure, it looks good, but how much better would it be if the bite rate were bumped up from 4.68Mbps (which includes the 384kbps audio)? Especially as the whole disc has just 7.1GB of data (you can have up to 8.5 on a dual layer DVD). There are also two easter eggs. There are seven preliminary character drawings, accessible by selecting Wolverine's dog tag on the Art Gallery menu, and a 35 second spoof in Title 15, where Spider Man walks in on a scene. You get at this one by selecting the Knight drawing on the Trailers menu. 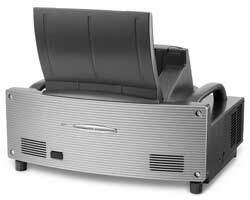 NEC's press release on its new WT600 projector had me puzzled. Claiming an ultra-short-throw, it said that a 100 inch picture could be produced at a range of just 65cm, and a 40 inch picture at 6cm. My eye skipped lightly over two different things to focus on that 6cm claim. A 40 inch picture at a range of less than three inches? Come on! Out comes the calculator. You can typically treat projectors as a point source, at least for approximate calculations. So if it produces a 100 inch picture at 65cm, then it must produce a 40 inch pictures at 40/100*65 = 26cm. Ah hah. Another triumph! Clearly the press release had omitted the '2' from the front of the '6'. I still hadn't twigged that even 65cm (just over two feet) is a ludicrously short range. I reported the 'correction' to NEC's PR person, who promptly replied that the figures were right, and she supplied another couple of figures. Determined to prove my point, I sketched out a graph, expecting a straight line pointing at the graph's origin. Oh oh. No way. The graph intersected with the origin at just under 40 inches. How can this be? It would imply that the projector has a huge lens! Which, in effect, it does. Because it uses a mirror to direct the light, not a lens. This thing has definite potential. Instead of a projector hovering above your head, it can be up nice and close to the screen ... and well away from you. You can probably put some kind of noise reduction around it as well. The NEC WT600 is 4:3 XGA, which means 1:1 vertical mapping for PAL widescreen, uses a DMD for a claimed 3,000:1 contrast and an ANSI lumens level that, I hope, is far too high. The only problem I see is that at the extreme angle from which it projects, some high gain screens may not work well with it (since they are designed to accept and reflect light optimally from directly in front).